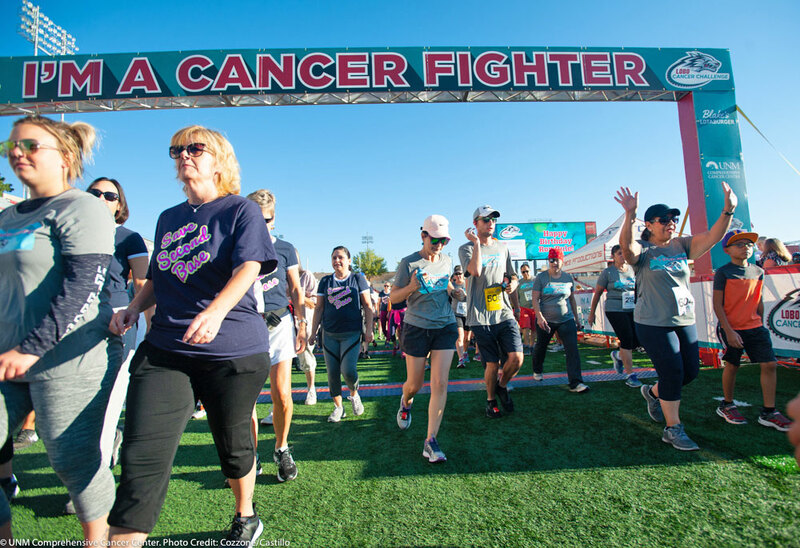 The participants accomplish their own athletic challenge and also challenge cancer together as a community on the day of the event. All routes began and ended at Dreamstyle Stadium, Albuquerque, New Mexico. 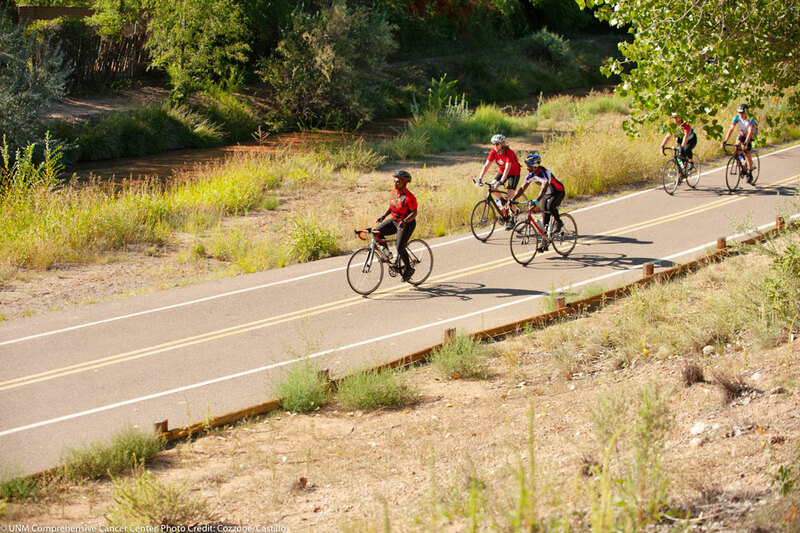 The 25 mile Challengers enjoyed the Bosque Bike Trail, and the 50 and 100 mile Challengers toured the East Mountains. The 5K Challengers enjoyed a police-protected route that took them around the Stadium neighborhood, and many families tackled the route together. The 5K provided the opportunity for many more families to participate together this year. 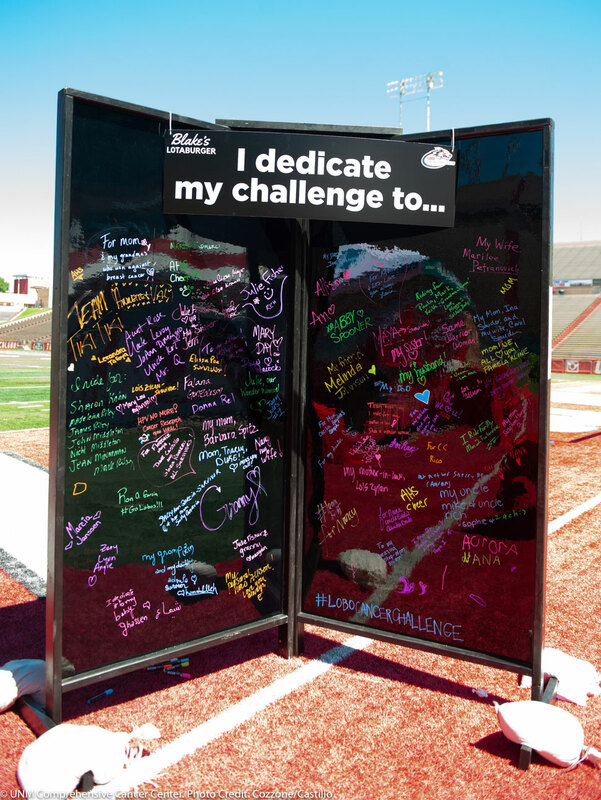 Sponsors from the community support event expenses, which means that 100 percent of the fundraising dollars raised by the Challengers goes directly to groundbreaking research, patient care services, or education for medical professionals at The University of New Mexico Comprehensive Cancer Center. Challengers commit to meet a fundraising minimum and are offered incentives, such as a custom Lobo Cancer Challenge 2018 Bike Jersey, for exceptional efforts. 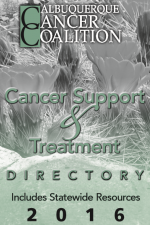 They can direct their donations to their choice of 17 programs that support cancer patients, research specialties, or education, which is a feature unique to the Lobo Cancer Challenge among similar events nationwide.